What is App Inventor 2? 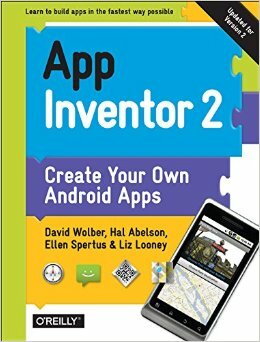 App Inventor 2 is the new version of App Inventor available at http://ai2.appinventor.mit.edu. It is fabulous: its much easier to setup (usually no downloads!) and it provides a much more elegant programming experience. The blocks editor loads immediately (its now in the browser, not a Java app!). If you're a developer or checking out App Inventor for future use, you should absolutely use AI2. However, AI "Classic" (beta.appinventor.mit.edu) will still be available for some months. As of December 3, 2013, the "Create" link on the App Inventor home page links to the new AI2 tool. But the App Inventor projects you've built with the "Classic" system are still available. Just go to http://beta.appinventor.mit.edu to use the "Classic" system and edit your projects. Can I translate my projects to the new AI2 system? Should I use AI2 to teach my course this semester? Even though your teaching materials will need to be changed to some degree, you should make the switch. The experience for your students will be so much better-- once you try AI2 it is hard to go back to the "Classic" version! Its also important to note that the blocks in AI2 are essentially the same, with a few minor exceptions. So you mainly need to change your tutorials/lessons that deal with mechanics, not programming. AppInventor.org and appinventor.mit.edu have been hard at work developing new materials which you can leverage. Check out the AI2 video tutorials on this site as well as the book chapters that have been translated into AI2. MIT has also translated a number of their tutorials. If I were teaching a class, I would definitely use AI2. How is the setup different in AI2? Are there tutorials and other materials for learning with AI2? I Have a Dream, text, video-- an introductory soundboard app featuring iconic civil rights leaders. PaintPot text, video the classic painting app. Math Blaster-- educational software demonstrating use of dynamic lists and random numbers. Conceptual Lesson: Properties-- introduction to component properties. Conceptual Lesson: Event Handlers-- introduction to event handlers. Conceptual Lesson: Conditionals-- introduction to conditionals.